TALLAHASSEE — A bill to extend subsidized health insurance to the state’s youngest legal immigrants has stalled in the Florida Legislature, due largely to the initial $27.5 million price tag. But Rep. José Félix Díaz, a Miami Republican, says the actual price is a lot lower: $7 million to $15 million. He’s fighting to have the measure included in the state budget. Díaz will have to move quickly. The House and Senate have finished preliminary budget proposals without including money to extend Florida KidCare to immigrant children. The legislative session ends May 2. 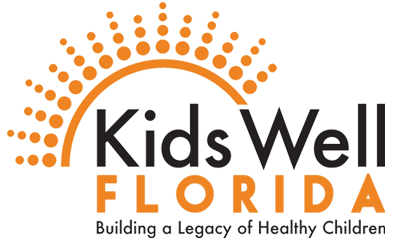 KidCare provides subsidized health care coverage to children from low- and moderate-income families. The program is backed by state and federal funds. In Florida, children born outside of the United States are not eligible for the program until they have been in the country for five years. The waiting period was once required under federal law. But states now have the option to provide immediate coverage to immigrant children who are living in the state legally. Diaz and Sen. René García, R-Hialeah, are pushing for the change. The proposals (SB 282/HB 7) would not extend coverage to undocumented immigrant children, García noted in a recent committee hearing. His bill won the support of the Senate Health Policy Committee last month. But both the García proposal and the one sponsored by Díaz have hit roadblocks because of the estimated cost as calculated by state policy analysts: $27.5 million to cover 22,903 children. The estimate was later revised down by the House to $20 million. Still, Senate President Don Gaetz said he was doubtful the bill would reach the Senate floor. Díaz sees another route: the state budget. He says the measure would apply to only about 16,900 children — a figure he bases on the number of immigrant children who have been turned away for coverage in the past year. That would drop the cost to about $15 million, he said. What’s more, if all children did not enroll immediately, the cost could drop as low as $7 million, Díaz said. Díaz said he was especially encouraged after Friday’s announcement that the federal government would extend Florida’s “Low Income Pool” program, which pays for health services to poor and uninsured Floridians. The state did not receive the bump in funding it had requested. But the $2.2 billion Florida will receive is enough to maintain the status quo. Diaz said House Health Care Appropriations Subcommittee Chairman Matt Hudson was open to the possibility of incorporating the proposal in the budget, but Hudson, R-Naples, did not return calls Tuesday. His counterpart in the Senate, Sen. Denise Grimsley, R-Sebring, did not return calls either. Sen. Anitere Flores, a Miami Republican and the vice chair of the Senate Health and Human Services Appropriations Subcommittee, said she would be advocating for the plan. Information from the News Service of Florida was used in this report. Contact Kathleen McGrory at kmcgrory@MiamiHerald.com.